Snowberry Clearwing pupation! The lines on the side are the breathing tubes (tracheae) coming out–they grow a new set with each molt! 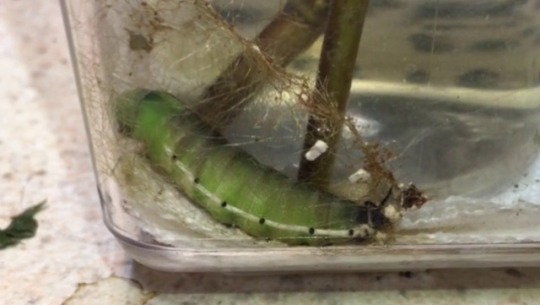 Pupation filmed June 26, moth emerged July 8!